Gift: A night out to the boxing, a gift card for the Vue Cinema’s and a Rangers wallet. 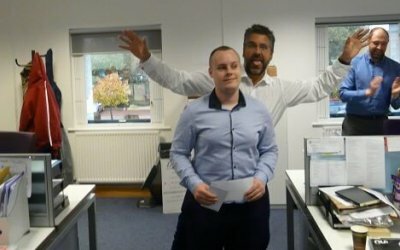 Karl has been at Be Fuelcards for 3 years now so to thank him for all his hard work and continued hard work we got him a night out to the boxing, a gift card for the Vue Cinema’s and a Rangers wallet. 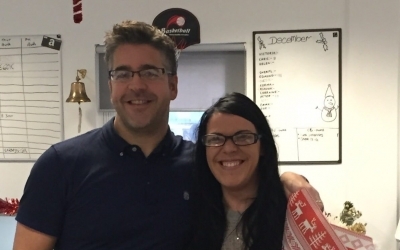 To celebrate her 4 years at Be Fuelcards, Lorraine received flowers and tickets to see The Cure. 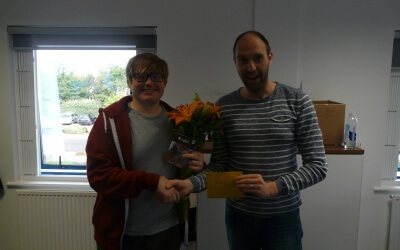 To celebrate his anniversary at Be Fuelcards, Chris received a bunch of flowers for his fiance and vouchers towards an Indian meal at Aagrah! 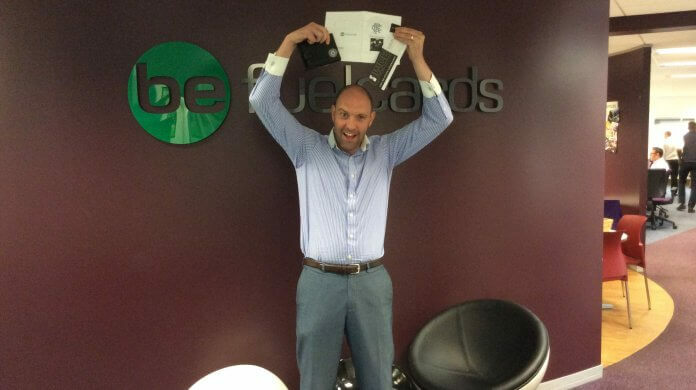 To celebrate his 1 year anniversary at Be Fuelcards, Adam received a meal for two to the Bulgogi BBQ Korean grill in Leeds.